The Beatles through a Glass Onion: Reconsidering the White Album. Univ. of Michigan Press, 2019. The Beatles, the 1968 double LP more commonly known as the White Album, has always been viewed as an oddity in the group’s oeuvre. Many have found it to be inconsistent, sprawling, and self-indulgent. The Beatles through a Glass Onion: Reconsidering the White Album is the first-ever scholarly volume to explore this seminal recording at length, bringing together contributions by some of the most eminent scholars of rock music writing today. It marks a reconsideration of this iconic but under-appreciated recording and reaffirms the White Album’s significance in the Beatles’ career and in rock history. This volume treats the White Album as a whole, with essays scrutinizing it from a wide range of perspectives. These essays place the album within the social and political context of a turbulent historical moment; locate it within the Beatles’ lives and careers, taking into consideration the complex personal forces at play during the recording sessions; investigate the musical as well as pharmaceutical influences on the record; reveal how it reflects new developments in the Beatles’ songwriting and arranging; revisit the question of its alleged disunity; and finally, track its legacy and the breadth of its influence on later rock, pop, and hip-hop artists. As the first essay collection focusing on the White Album, The Beatles through a Glass Onion represents a landmark work of rock music scholarship. It will prove to be an essential and enduring contribution to the field. Hitchcock and Adaptation: On the Page and Screen. Rowman & Littlefield, 2014. From early silent features like The Lodger and Easy Virtue to his final film, Family Plot, in 1976, most of Alfred Hitchcock’s movies were adapted from plays, novels, and short stories. Hitchcock collaborated with those who would not just execute his vision but shape it, and many of the screenwriters he enlisted–including Eliot Stannard, Charles Bennett, John Michael Hayes, and Ernest Lehman–worked with the director more than once. And of course Hitchcock’s wife, Alma Reville, his most constant collaborator, was with him from the 1920s until his death. In Hitchcock and Adaptation: On the Page and Screen, Mark Osteen has assembled a wide-ranging collection of essays that explore how Hitch and his screenwriters transformed literary and theatrical sources into masterpieces of cinema. Some of the essays view adaptations through a specific lens, such as Queer aesthetics in Rope, Strangers on a Train, and Psycho, while others investigate Hitchcock as author, auteur, adapter and, for the first time, as a literary source. Films discussed in this volume include Sabotage, The 39 Steps, Shadow of a Doubt, Lifeboat, Rear Window, Vertigo, Marnie, and Frenzy. The final set of essays analyzes Hitchcock-inspired works by W. G. Sebald, Don DeLillo, and Bret Easton Ellis, among others. These close examinations of Alfred Hitchcock and the creative process illuminate the significance of the material to which he turned for inspiration, celebrate the men and women who helped to bring his vision from the page to the screen, and explore how the director has influenced contemporary writers. A fascinating look into an underexplored aspect of the director’s working methods, Hitchcock and Adaptation will be of interest to film scholars and fans of cinema’s most gifted auteur. Desperate young lovers on the lam (They Live by Night), a cynical con man making a fortune as a mentalist (Nightmare Alley), a penniless pregnant girl mistaken for a wealthy heiress (No Man of Her Own), a wounded veteran who has forgotten his own name (Somewhere in the Night)—this gallery of film noir characters challenges the stereotype of the wise-cracking detective and the alluring femme fatale. Despite their differences, they have something in common: a belief in self-reinvention. Nightmare Alley is a thorough examination of how film noir disputes this notion at the heart of the American Dream. Central to many of these films, Mark Osteen argues, is the story of an individual trying, by dint of hard work or, more often, illicit enterprise, to overcome his or her origins and achieve material success. In the wake of World War II, film noir tested the dream of upward mobility and the ideas of individuality, liberty, equality, and free enterprise and accompany it. Employing an array of theoretical perspectives (including psychoanalysis, art history, feminism, and music theory), while combining close reading with original primary source research, Nightmare Alley proves both the diversity and potency of classic noir. This provocative and wide-ranging study revises and refreshing our understanding of noir’s characters, themes, and cultural significance. 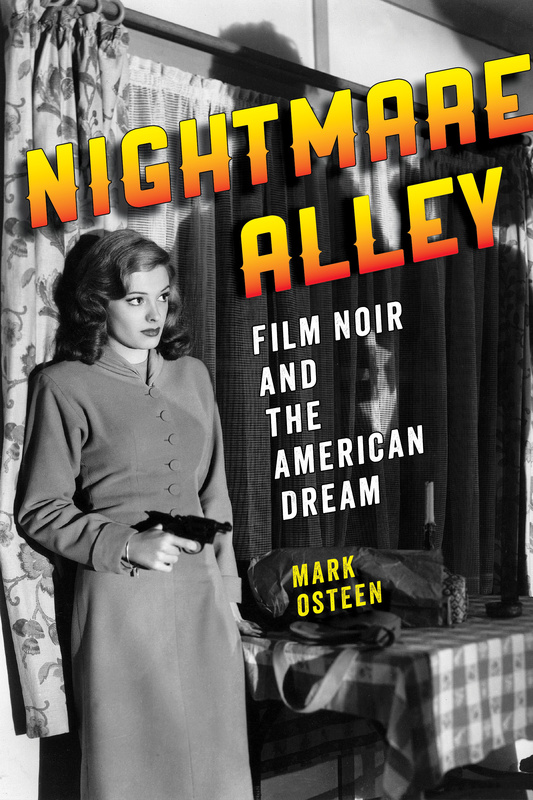 “Mark Osteen manages to add something new and substantial to the discourse on film noir—an examination of the ways in which the American dream is subverted, challenged, and ultimately discounted by the harsh realities of a noir universe, which more directly aligns itself with society than with the phantom hope of endless upward mobility.” —Wheeler Winston Dixon, University of Nebraska. The first book to chronicle and celebrate the rich jazz history of Baltimore, Music at the Crossroads presents lively profiles of legends like Billie Holiday, Eubie Blake, Cab Calloway, and Chick Webb, as well as analyses of neglected figures such as pianist Ellis Larkins, Gary Bartz, and legendary jazz educator and composer Hank Levy. The book’s first two sections present new interpretations and detailed outlines of these significant musicians’ lives. The final section illuminates the history of Baltimore’s jazz scene, from its heyday of Pennsylvania Avenue and the Left Bank Jazz Society, to the present day and beyond. The final section also includes a map of those Pennsylvania Avenue jazz clubs and a comprehensive list of Left Bank Jazz Society concerts. Informed by primary source research and enhanced by original and classic photographs, the book’s chapters are written by regional and national jazz journalists and musicians as well as by members of Loyola University’s unique Aperio program, in which students and professors collaborate to conduct and publish groundbreaking original research. Whether you’re looking for a factual guide, for new portraits of the lives and work of legendary musicians, or for reminiscences by those who made and heard the music, Music at the Crossroads: Lives and Legacies of Baltimore Jazz offers a feast for the mind, ears and eyes. Autism, a neuro-developmental disability, has received wide but often sensationalistic treatment in the popular media. Though a great deal of clinical and medical research has been devoted to autism, neither traditional humanities disciplines nor the new field of Disability Studies has had anything significant to say about it. This volume, the first scholarly book on autism and the humanities, brings scholars from several disciplines together with adults on the autism spectrum to investigate the diverse ways that autism has been represented in novels, poems, autobiographies, films and clinical discourses; it also explores the connections and demarcations between autistic and “neurotypical” creativity. Using an empathetic scholarship that unites professional rigor with experiential knowledge derived from the contributors’ lives with or as autistic people, the essays address such questions as: In what novel forms does autistic creativity appear, and what unusual strengths does it possess? How do autistic representations—whether by or about autistic people—revise conventional ideas of cognition, creativity, language, (dis)ability and sociability? This timely and important collection breaks new ground in literary and film criticism, aesthetics, psychology and Disability Studies. It will surely appeal to anyone interested in autism and related disabilities, as well as to literary scholars, rhetoricians and film critics. “This book is an excellent resource for any scholar interested in disability studies and autism. It brings theory to bear on what may be called a cognitive disability, places the diagnosis of autism in a historical and cultural context, and addresses issues of representation (by self and other).” – Felice Aull, Literature, Arts and Medicine Database. “. . . redresses a major shortcoming in disability studies. . . . Autism and Representation represents a turning point and . . . what most distinguishes it is Osteen’s thematic preoccupation with ’empathetic scholarship. '” – Chris Gabbard, Disability Studies Quarterly. The Question of the Gift brings together scholars from a variety of fields, including anthropology, literary criticism, economics, philosophy, and classics, to provide new paradigms and pose new questions concerning the theory and practice of gift exchange. Offering exciting new ways of thinking about a universal phenomenon, this collection is sure to appeal to a broad interdisciplinary audience. The Question of the Gift is the first collection of new interdisciplinary essays on the gift. Each essay not only challenges the conventions of its field; each one combines ideas and methods from both the social sciences and the humanities to forge an innovative synthesis.In a culture awash in the rhetoric of self-interest, understanding the gift is more essential than ever, for the questions of the gift address essential issues in social life: How do non-commercial exchanges form and solidify communities? How do humans and objects interact outside of consumerism? What are the relationships between gifts and commodities? To what degree are artworks gifts? Is a truly free gift possible or even desirable? The Question of the Gift thus presents illuminating interdisciplinary perspectives that inspire us to live more ethically as well as more imaginatively. Winner of the National Book Award in 1985, White Noise is the story of Jack and Babette and their children from their six or so various marriages. They live in a college town where Jack is Professor of Hitler Studies (and conceals the fact that he does not speak a word of German), and Babette teaches posture and volunteers by reading from the tabloids to a group of elderly shut-ins. They are happy enough until a deadly toxic accident and Babette’s addiction to an experimental drug make Jake question everything. White Noise is considered a postmodern classic and its unfolding of themes of consumerism, family and divorce, and technology as a deadly threat have attracted the attention of literary scholars since its publication. This Viking Critical Library edition, prepared by scholar Mark Osteen, is the only edition of White Noise that contains the entire text along with an extensive critical apparatus, including a critical introduction, selected essays on the author, the work and its themes, reviews, a chronology of DeLillo’s life and work, a list of discussion topics, and a selected bibliography.